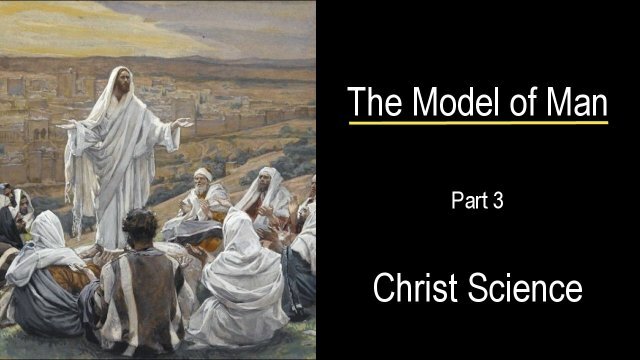 What is the Christ and Christ Science? The Christ is not a person, a thing, an institution, a miracle, or even the Son of God. The Christ is God's spiritual idea. Its is God's self-revealing impetus. The Christ is a God's near-presence in thought, to be scientifically understood. Jesus was an Exemplar of the Christ. The Christ is far greater than any person can ever be, but it can be scientifically understood. It acts in countless ways; always speaking to consciousness, always saying to humanity that the very concept of small-minded thinking is a contradiction in terms, because God, Mind, is never small, and can never be reflected as being small. The Christ is the inspiration and the power that uplifts society out of its stupor of living as little men, small-minded men. The Christ is our link to God, our awareness of God, and our link to scientifically understanding ourselves. The Christ is the most-monumental healing impetus that we have available to us, and can have, which we embrace to uplift ourselves with, and one-another. The Christ is our link to reality - to what God is, and to what we are, reflecting God.